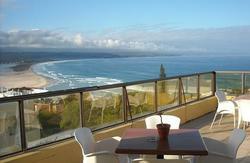 Plett Backpackers is a penthouse situated in the heart of Plettenberg Bay. We boast some of the most amazing views of the Keurboom's Lagoon, Indian Ocean and Tsitsikamma Mountain Range from our location with shops, restaurants and night spots just a few steps away. 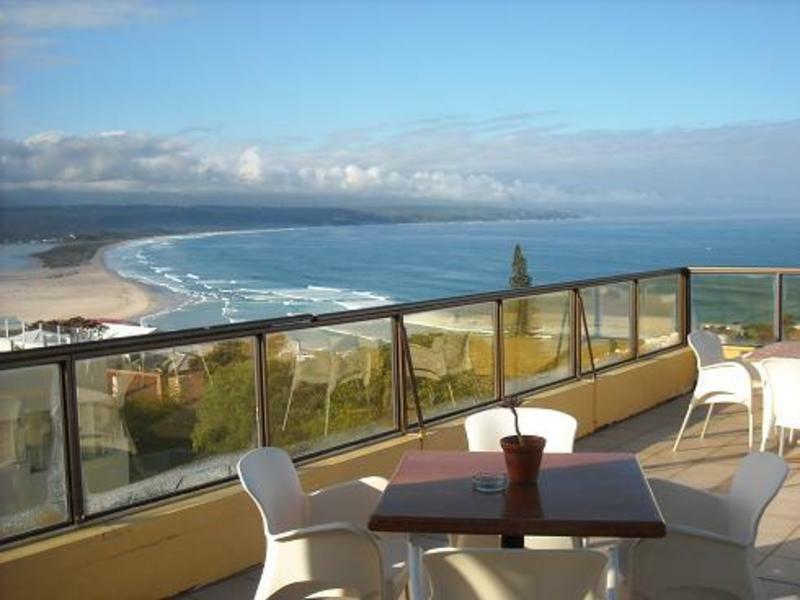 Surfers and nature lovers can come join us on the deck any time of day to admire the 270 degree views of Plettenberg Bay in all her splendour. After a fun-filled day in Plettenberg Bay unwind with a Traditional South African Braai and sundowners on our deck with a millionaire's row view. Our deck also offers a spectacular viewing point for any dolphins and whales in the bay. This alone is worth the trip. 'Wave' Double Room: Sleeping 2 persons our spacious double room has a double bed. This room is fitted with built in cupboards, a dressing table and bed-side table with a lamp. Linen and bath towels are supplied for your convenience. 'Robberg' Twin Room: Sleeping 4 our spacious twin room consists of two single beds and a bunk bed. This room is fitted with built in cupboards, a dressing table and bed-side table with a lamp. Linen and bath towels are supplied for your convenience. 'Sunrise' Twin Room: Sleeping 2 our spacious twin room consists of two single beds. This room is fitted with built in cupboards. Linen and bath towels are supplied for your convenience. 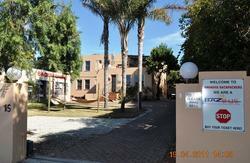 'Plett' 8 Sleeper Dorm: Our 8 sleeper dorm with awesome views is fully equipped with linen and bath towels. This unit has built-in cupboards and a dressing table with a full en suite bathroom. So if you are lucky enough to be the first to check into this dorm you won't even have to get out of bed to admire the views. TRADITIONAL AFRICAN CUISINE is available at the Plett Backpackers. For more information about our Traditional African Cuisine Menu, please enquire prior to arrival. Our establishment guarantees plenty of entertainment as well as a clean, safe and secure environment. So come stay with us, it's like home away from home. We will make sure to give you memories that will last a lifetime. From the N2 (Cape Town): Turn right at circle at Shell Garage, Straight on to Second circle, turn left into Main Street, proceed to Caltex Garage. From the N2 (Port Elizabeth): Left at Engen Garage into Plettenberg Bay. Proceed to the top of hill into Main Street to Caltex Garage.